The Margaret W. & Joseph L. Fisher Art Gallery at the Rachel M. Schlesinger Concert Hall and Arts Center at Northern Virginia Community College’s Alexandria Campus welcomes the unique artwork of regional artist Kyujin Lee whose show Past Control, Pest Control will be on display from Nov. 10, 2017 to Jan. 15, 2018. An artist’s reception is scheduled for 2 p.m. to 4 p.m. Saturday, Nov. 11. 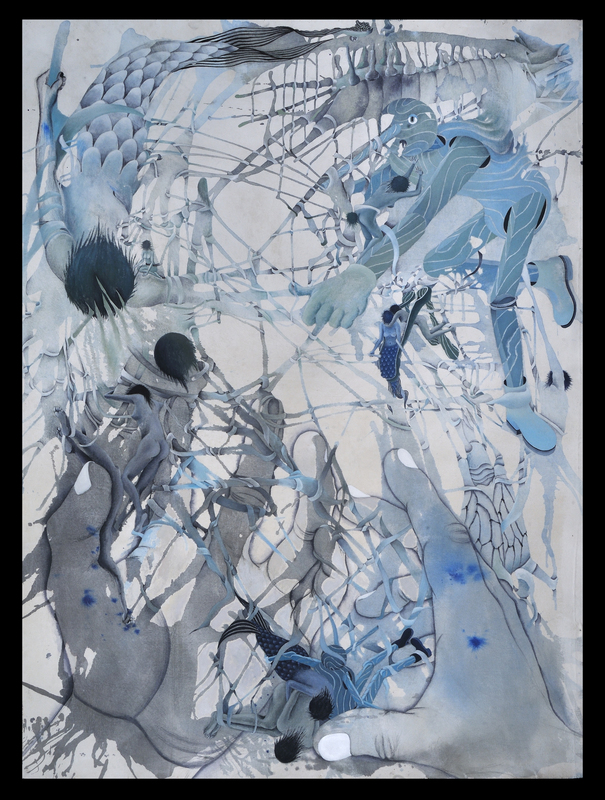 Kyujin Lee; Unbind; 73” x 53”; ink, watercolor, acrylic on canvas; photo courtesy of artist.